If you have travelled to Morocco, you have had lots of mint tea and it provides a refreshing memory that stays with you. I am not sure why the tea is so wonderful. I don’t usually drink tea at home. Is it because Morocco is an exotic destination? Is it because the tea is either served in a clear glass with lots of mint leaves visible, or served in beautiful and colorful tea glasses? Is it the ingredients – the mint leaves? What I do know, is it is never as good when I try to make it at home. There definately is an art to making a good tea, hot or cold. Turkey, Egypt, Morocco and other countries in the Middle East know the secrets of making a good tea. I do know one of the secrets is having really hot water. When you order tea in the U.S., the water is never hot enough. When my Egyptian friends order tea, I always have to warn the wait staff to make sure they bring it piping hot. 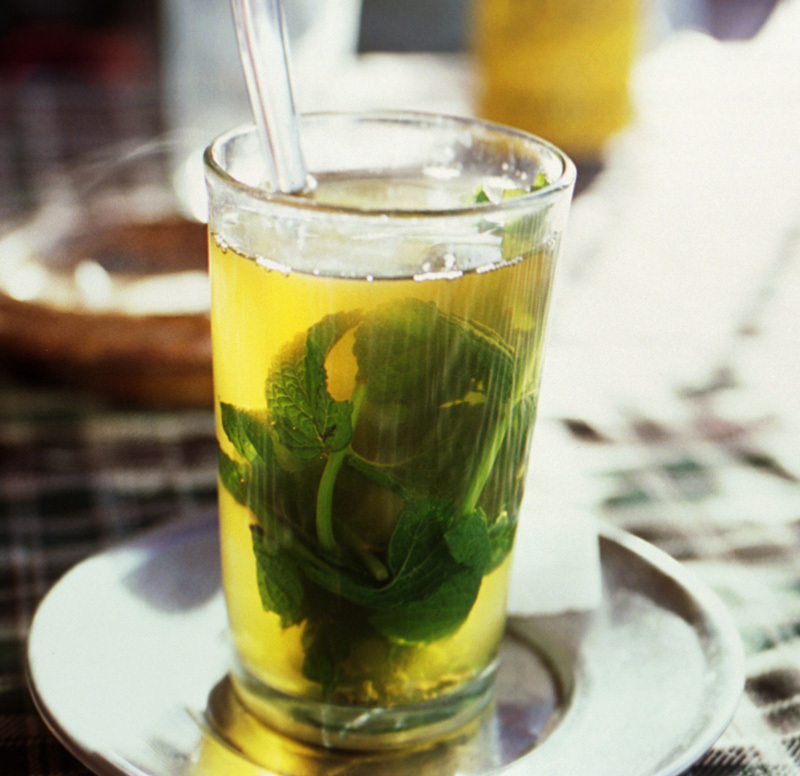 In Morocco, it is the mint tea that refreshes. In Turkey, it is the lemon tea that is divine. If you know the secret to making a good mint or lemon tea, please let me know.